Kevin Hanselka is a regional archeologist with TxDOT. This article is part of the September 2017 TARL newsletter. Archeological Landmark located within the proposed right of way for the Northeast Parkway, a new-location highway northeast of El Paso planned to ease heavy traffic along Interstate 10. Excavations here in the 1980s found that early in the 15th century, desert farmers established a small village or hamlet on the Firecracker site, probably with their corn and bean fields planted somewhere nearby. Early on these farmers built at least 17 “pit houses” (roughly circular or oval houses built over shallow pits) on the site, but later constructed an above-ground adobe-walled structure with about 16 rooms on top of the former pit houses. In 2016 archeologists working on behalf of TxDOT surveyed the right of way in preparation for the Northeast Parkway project. 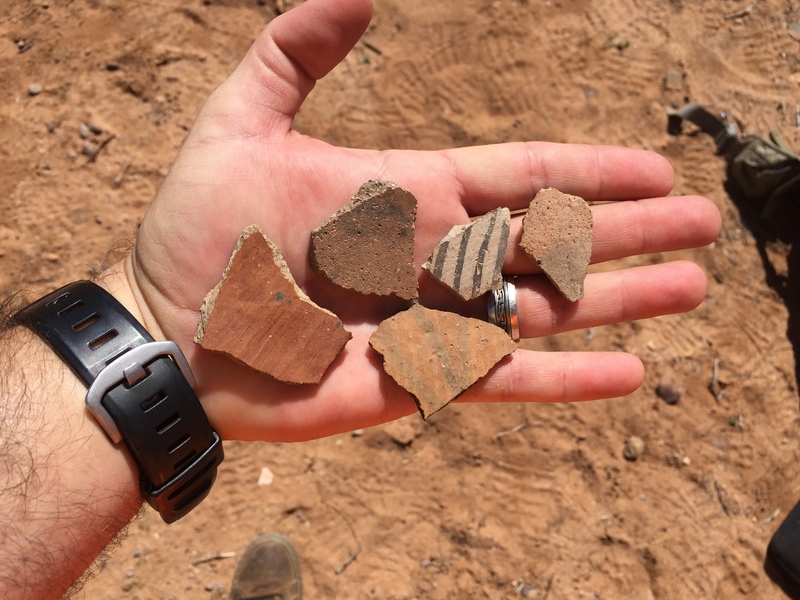 Although the adobe walls and pit house foundations are not visible on the surface, the survey crew found a dense concentration of chipped stone artifacts and fragments of decorated ceramic pots near the location of the previous excavations. In addition to Firecracker, the crew also explored three other similar sites along the project corridor with dense surface scatters of prehistoric artifacts. These artifact concentrations suggest that unknown pit houses or adobe-walled rooms may yet await discovery under the surrounding sand dunes. Therefore additional investigations must happen on Firecracker and these nearby sites before construction on Northeast Parkway can start. Figure 1. Ceramic sherds on the surface near Firecracker Pueblo, northeast of El Paso. Testing and excavations on the four sites are planned for the upcoming year or two. These new TxDOT investigations will complement previous findings from Firecracker Pueblo (much of which remains unpublished) and enhance our knowledge about the lives of El Paso phase (ca. AD 1300 – 1450) Jornada Mogollon farmers. 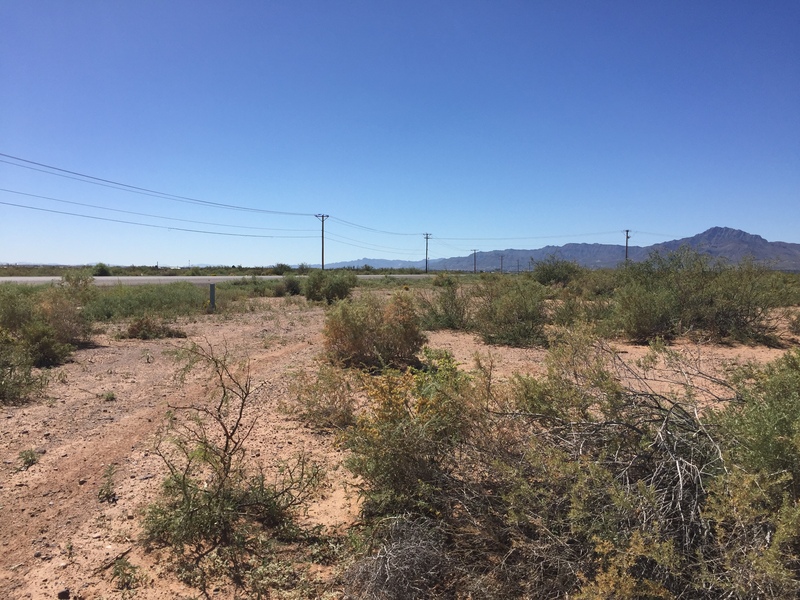 As this ongoing project develops, TxDOT continues to work closely with the Tigua Tribe of Ysleta del Sur Pueblo in El Paso as we weigh potential impacts to these and other cultural resources along the Northeast Parkway. Figure 2. Overview of the Firecracker Pueblo site on the north side of US 54, showing the location of the excavated adobe-walled rooms and underlying pit houses (no longer visible from the surface).